Check out this 1/4 lb of Organic Better Belly Blend. 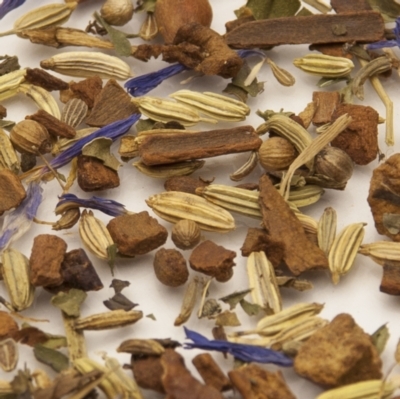 The Organic Better Belly tea blend from Two Leaves Tea offers the natural digestive aid provided by tea in a flavor-packed cup of deliciousness! The tummy-soothing tea will improve movement of food through the digestive tract, helping you to avoid bloating and other inconveniences of a less than perfect diet. This resealable sleeve contains � lb of full loose tea leaves, which stay safely preserved between each serving you choose to prepare. Rejoice the belly-friendly benefits one cup at a time!